many to not only come to Christ, but growing in the Lord as well!!. THANK YOU FOR YOUR GIVING!!!! others to see such wonderful miracles to occur as we have reported to you thios month. As I share with you each month,besides financial blessing our work, we are always looking for good folks to donate auto-vehicles such as well operating/running cars, motorcycles, trucks, vans, commercial vehicles and boats to Global Family Outreach Ministry so we can sell them to raise funds for the feeding of the children. If you, or if you know anyone who is willing to donate a good and decent running vehicle to GFOM, please let us know. We will give anyone who donates to GFOM, a tax-deductible receipt. A reminder that All donations, whether financial or otherwise are tax deductible but you will need to communicate with your accountant and or IRS Agent to verify rules. Please send your best love gift today to: http://beaheronow.net/donate.html. As I am writing this monthly news article for November, It is already December. I am reflecting this month how Global Family Outreach Ministry celebrates our ten-year anniversary of existence and the thousands and thousands of souls impacted by what great things we have done through the Lord Jesus Christ. We have not only served in the Philippines, but also in Panama. We have reached out to other nations also indirectly as well including Indonesia, Malaysia, Canada, Japan and China. What a blessing to be part of the Lord’s ministry and see many saved through Christ! 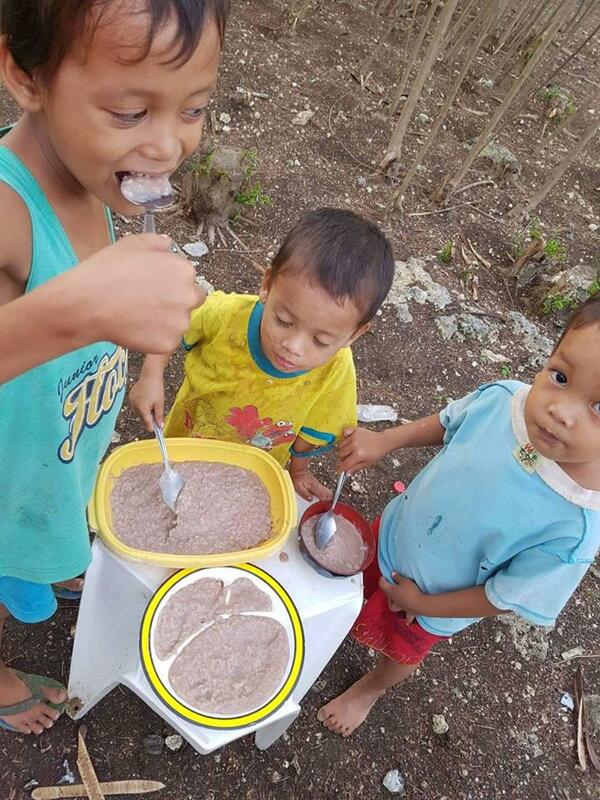 We are daily praying that you will please make an extra donation this Christmas Holiday to bless these malnourished kids and their family members, or if you haven’t already, please start to help and partner with us financially to see many souls saved. We are always looking for additional ways to fund the ministry. We at Global Family Outreach Ministry utilize local Pastors and churches to provide such awesome and equally productive/effective evangelistic outreaches. 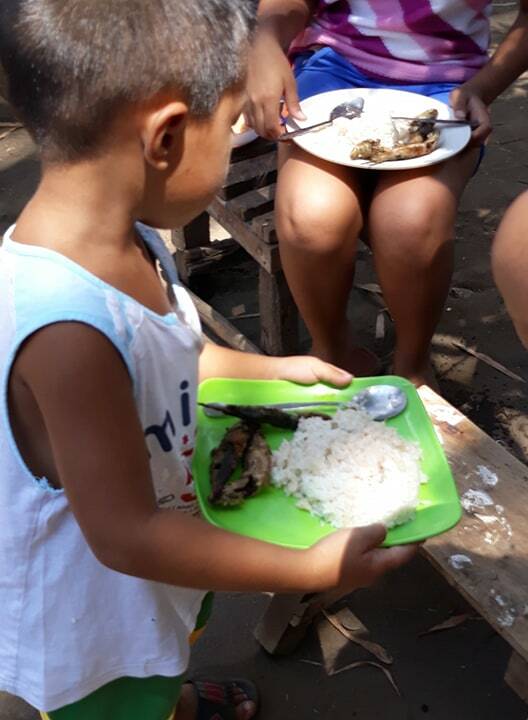 Thanks to Jesus, as you can see by the photos we have provided you this month, the children are being fed and both they as well as their parents/family members are happy as well as blessed! 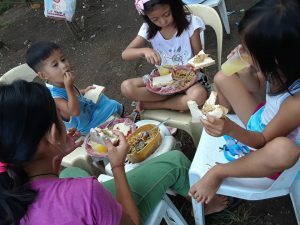 if you were not able to read our updates that last few months, we are now holding Bible Study groups with parents that have accepted Jesus as their Lord and Savior because their children are being fed, both physically as well as spiritually through GFOM. Watching BOTH malnourished children AND their parents/relatives as new believers in Christ are growing weekly and all by God’s move coupled with your financial gifts that have helped to see this come to fruition. It really is a blessing and I hope you also are equally blessed who faithfully support the work in the Philippines. 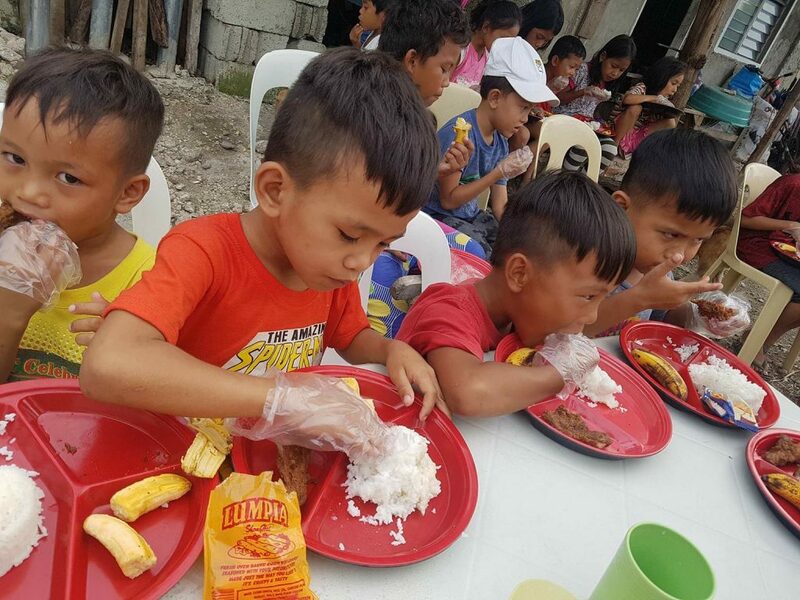 We are daily praying that you will please continue to bless these malnourished kids and their family members, or if you haven’t already, please start to help and partner with us financially to see many souls saved. We are always looking for additional ways to fund the ministry. we at Global Family Outreach Ministry utilize local Pastors and churches to provide such awesome and equally productive/effective evangelistic outreaches. Besides financial blessing our work, we are looking for good folks to donate auto-vehicles such as well operating/running cars, motorcycles, trucks, vans, commercial vehicles and boats to Global Family Outreach Ministry so we can sell them to raise funds for the feeding of the children. If you, or if you know anyone who is willing to donate a good and decent running vehicle to GFOM, please let us know. We will give anyone who donates to GFOM, a tax-deductible receipt. 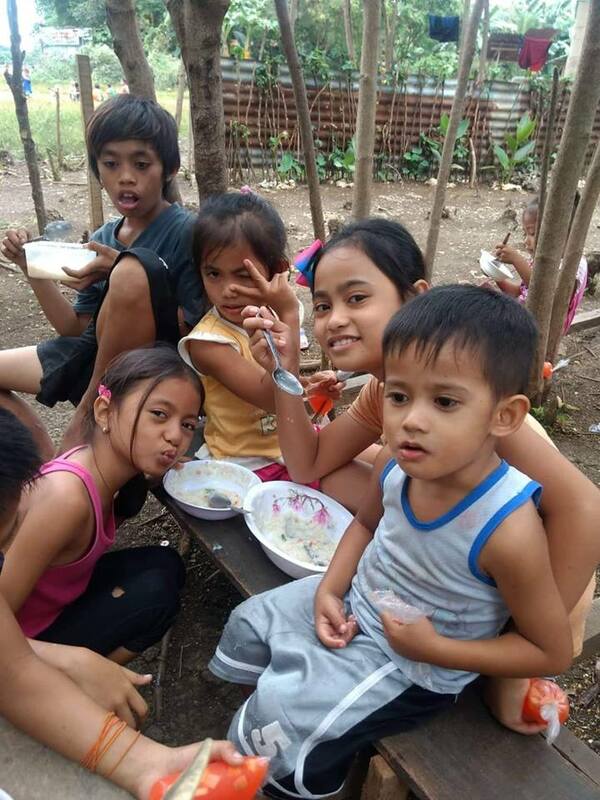 As we’ve approached the end of Summer in the Philippines, we at Global Family Outreach Ministry Poor Children’s Feeding Program in the Philippines are very, very happy to report that not only are we sustaining 40 plus children attending our twice-monthly program, we are also seeing multiple family visitations to share Jesus as Lord and Savior is also bearing fruit. Family visitation time of those children who are both physically and spiritually fed at our program is essential. 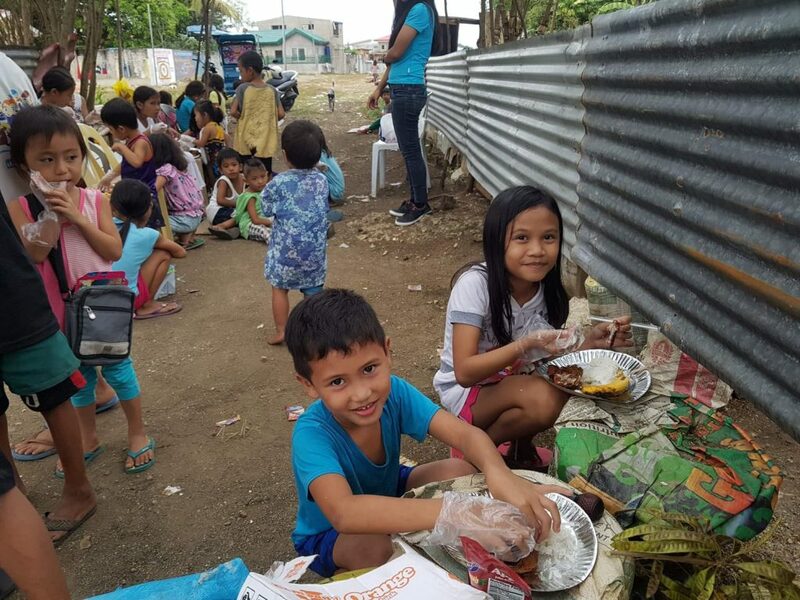 This is where our staff in the Philippines gets to share the importance of Salvation of Jesus and to also share how God is providing basic needs. Those that come to Christ are immediately plugged into a local Bible believing church and from there, the Kingdom of God grows! We use the Biblical model that Jesus and His people will help them if they have faith, but again, feeding them only twice monthly makes our message weak. We always make do however with what we are given through your love gifts, but it is barely enough. In the past, I have always informed you of our needs. I wish that money grew on trees, that way I would never have to disturb you with financial requests, but most of us know that is not how God operates. God always uses His people to see the unsaved, hungry and willing, come to Christ. Again, thank you to all who faithfully support GFOM and the children/families we help together? We hope you are staying cool this summer. In the Philippines, it is the usual hot and rainy summer. Regarding our Global Family Outreach Ministry Poor Children’s Feeding Program in the Philippines. We are excited to report 40 plus children are attending our twice-monthly program. Also, family visitations to share Jesus as Lord and Savior is also bearing fruit. So many of the children we serve truly suffer from malnutrition and is why we chose here in Cebu to open our GFOM Poor Children’s Feeding Program. It is so sad to see hungry children go without food and in all honestly, feeding only twice monthly is only a small dent in the issue. We use the Biblical model that Jesus and His people will help them if they have faith, but again, feeding them only twice monthly makes our message weak. We make do with what we are given through your love gifts, but it is barely enough. A few times, we considered feeding only one time per month because of the little financial support we receive. We just couldn’t do it. Again, thank you to all who faithful support GFOM and the children/families we help together? 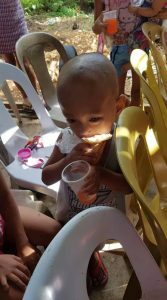 We are blessed to share with you another monthly update regarding our Global Family Outreach Ministry Poor Children’s Feeding Program in Cebu, Philippines. 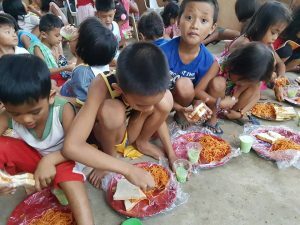 Praise the Lord, beginning the very last Saturday in May, we became fully operational in our GFOM Poor Children’s Feeding Program once again after the children’s had off from school for several months. We are happy and blessed to report all the children have returned, plus a few new children as well!! We are so grateful to the Lord and of course to all of you who have been faithful to make this occur. Without the Lord’s direction and your prayers as well as financial support, we could never see 40 plus children come to know Jesus Christ of the Bible in a practical way. Thank you and God bless all of you who have prayed plus give their love gifts to help these children. We take our responsibility of feeding the children very seriously and we also know those of you who prayerfully support what we do, also take seeing these poor children physically and spiritually, very seriously. This page generated with 37 queries, in 0.214 seconds.